Richard Gowan is an analyst and commentator on international affairs based in New York, specializing in crisis management and the United Nations. He is a senior policy fellow with the European Council on Foreign Relations and teaches at Columbia University’s School of International and Public Affairs. In recent years, he has acted a consultant to the United Nations and the United States Holocaust Memorial Museum. He is also a non-resident fellow at New York University’s Center on International Cooperation, where he was previously research director. He writes a weekly column for World Politics Review, and has contributed to numerous other publications including Aeon, The American Interest, Daedalus and Politico. This article is part of NUPI's Analysis series - short analyses, briefs and commentaries on current issues. During the Cold War, Denmark, Finland, Norway and Sweden were among the top contributors to blue helmet operations. They cut back their contributions after the Balkan fiasco, turning to NATO and European Union (EU) missions instead. But now Cold War conditions are back in Ukraine, and a UN-backed peacekeeping force with some or all of the Nordic countries in the lead could be the best solution on offer. Monitors from the Organization for Security and Cooperation in Europe (OSCE) have been on the front lines in the Donbas since 2014. But both Ukrainian and Russian officials have occasionally raised the possibility of a UN force to help bring the conflict to a close. Last September, Russian President Vladimir Putin unexpectedly suggested that the UN could at least send a guard force to protect the OSCE team. Neither Ukraine nor its Western allies think such a limited deployment would be worthwhile. The OSCE also says that the benefits would be negligible. But the U.S. and European powers including Germany jumped at the opening to talk about a larger blue helmet mission. The Trump administration’s Ukraine envoy, veteran diplomat Kurt Volker, has been talking to the Russians about the idea in recent months. Moscow’s position remains unclear. Russian officials rule out a robust operation comparable to NATO’s missions in Bosnia and Kosovo to reunite eastern Ukraine with the rest of the country by force. Given the dangers of a head on collision with Russian forces or their proxies, no Western power wants this either. But there are signs that Moscow might compromise on some sort of medium-size operation to oversee the gradual reintegration of the Donbas under Kyiv’s control. Russian officials have thrown up lots of caveats about how that force could deploy, and even suggested it could involve Russian troops. That is patently a non-starter. But a gradual process of diplomatic bartering could make peacekeepers possible. That would leave two major problems outstanding. Firstly, who would provide the peacekeepers? Secondly, could a peacekeeping force really stabilize a potentially chaotic situation in the Donbas? Neither question is easy to answer. The politics of the Ukrainian conflict mean that a lot of high-capability militaries would not be acceptable troops contributors to all the parties on the ground. Moscow would presumably oppose U.S., British or French troops. Some German officials have expressed a willingness to get involved, and this is even mentioned in the new Grand Coalition agreement between Angela Merkel and the Social Democrats. But Berlin is unlikely to put large numbers of Bundeswehr troops on the ground, given historical sensitivities dating back to the Second World War. Who could send personnel? A rag-tag set of troop contributors is conceivable. These could range from friends of Russia like Belarus and Kazakhstan, whose presence would reassure Moscow, to Latin American countries with a solid track record in UN operations like Brazil. Argentina and Chile sent units to serve under NATO command in the Balkans in the later 1990s and could also be candidates this time around. Non-European U.S. allies such as the United Arab Emirates are also contenders, although the Emiratis are quite busy in Yemen right now. But, as I argue in a new report for The Hudson Institute on peacekeeping in Ukraine, it is very hard to imagine a politically and operationally credible force without a solid European component at its core. In the first instance, this would likely mean non-NATO countries such as Austria and Finland. The U.S. has set its sights on getting Sweden in particular to act as a lead nation in any future force. Denmark and Norway are less widely cited, due to their solid NATO membership. But if the U.S., Russians and Ukrainians were ultimately to hit on a convincing political framework for a mission, Washington could look to the Nordic countries as a whole to kick the whole thing off. It would be a very difficult call to arms to ignore. So what would a mission look like? In legal and political terms, it would need a strong mandate from the Security Council. An open question is whether this would also mean that it would come under direct UN command, or whether interested countries (again, read the Nordics) would lead an autonomous force. Given European officers’ lingering skepticism about UN missions after the Balkans, most would probably prefer a stand-alone Multinational Force, possibly in parallel with a UN police and civilian presence plus experts from the OSCE. This sort of mix-and-match approach to command and control issues ultimately worked fairly well in Bosnia after 1995 and in Kosovo, although it inevitably breeds day-to-day frictions. An alternative would be a force formally under UN command but permitting troop contributors a significant say over directing operations, the model that has worked for the blue helmets in Lebanon since 2006. A bigger question would be the actual size of the force. A robust stabilization mission would require 50,000 or more troops but that is not realistic. A mid-sized force of 20,000 troops plus a solid police component of 2,000 to 4,000 officers would probably be enough to sustain order if (a very big if) Russia genuinely committed to stopping its proxies in the Donbas causing serious trouble for the peacekeepers. Supervising public order and the civilian dimensions of reintegration in the wake of elections, maximizing the local population’s trust in the process. None of these things would be easy. There are severe doubts over whether Russia would permit peacekeepers to monitor its border with Ukraine, for example, and the international force would face a nervous and resentful population. Russia’s separatist proxies have been heavily armed, deploying hundreds of tanks and artillery pieces. Even if Moscow confiscated a lot of their kit, some diehards would probably aim to wage a guerrilla campaign against the peacekeepers. The mission would need enough armaments and intelligence of its own to face down regular threats. The UN’s operation in Mali, which has been thrown of-balance by regular attacks on its bases and convoys, shows how an ill-prepared international force can struggle against a persistent insurgency. The Donbas could prove even nastier. So there is a long list of good arguments against sending peacekeepers, let alone Nordic personnel, into eastern Ukraine in significant numbers. Yet in strategic terms, it is hard to see how the U.S. and its European partners can start to rebuild relations with Russia without some sort of fix in the Donbas (Crimea, for the purposes of these discussions, is off the cards). There is also a basic humanitarian case for greater international action to send a war that has claimed over 10,000 lives and displaced millions. So Nordic military planners and peacekeeping experts should, at a minimum, start to work on detailed contingency plans for a future mission. Doing so could be framed as an act of good will to the U.S. and France and Germany, which currently lead talks with Russia and Ukraine through the Normandy Group. It would also be a favor to UN Secretary-General Antonio Guterres and his staff, who have done a very little tentative planning for a Ukrainian mission, but are nervous about pushing the envelope too far. There is an honorable precedent for such a contribution. 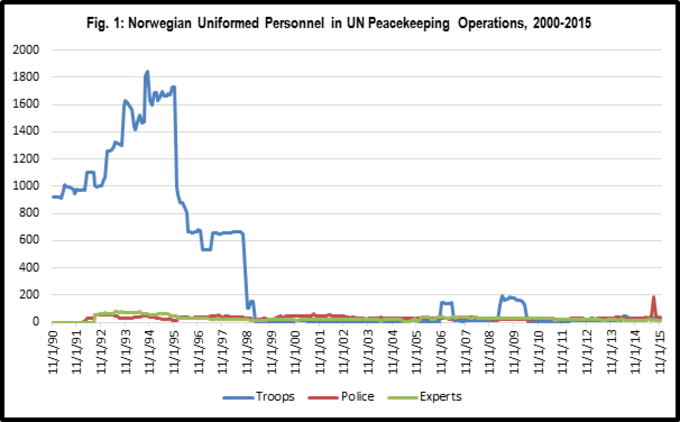 In the early days of peacekeeping, when the secretariat had no peacekeeping department of its own, Nordic soldiers and officials played a decisive role in shaping and delivering operations. Peacekeeping in trouble-spots like the Congo and Middle East was a risky business then too. But Nordic leaders and soldiers that making UN missions work was a way to stop Cold War conflicts escalating out of control. The same logic applies to peacekeeping in Ukraine today. 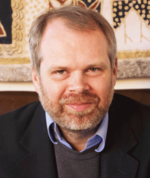 Richard Gowan is author of “Can the United Nations Unite Ukraine?” (The Hudson Institute, 2018), a Senior Fellow at the European Council on Foreign Relations and an Adjunct Professor at Columbia University.